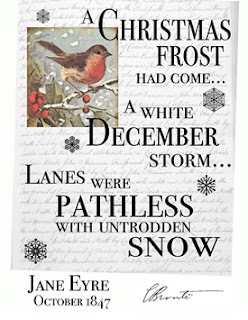 There's still a little time to pay an online visit to the Parsonage shop before Christmas - how about a Jane Eyre card for your favourite fellow aficionado? Or would you prefer something to do with Wuthering Heights? A 2016 calendar? Visit the shop here. 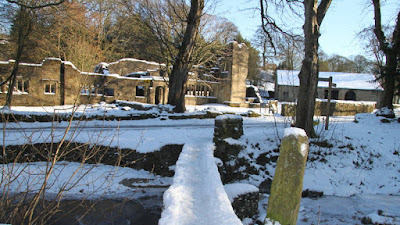 'Ferndean Manor', home of Mr. Rochester in Charlotte Brontë's Jane Eyre is under dire threat - as is the picturesque and inspirational Brontë Way, which starts at Ferndean Manor and leads to the Parsonage Museum, Haworth. Called Wycoller Hall in real life, Ferndean Manor is the centrepiece of the gorgeously romantic Wycoller hamlet clustered around a stream at the heart of Wycoller Country Park. Its moody scenery and residents inspired the Brontës. Lancashire County Council, which cares for the ruined Hall, the Brontë Way and the surrounding countryside is planning to completely close down the management, maintenance and ranger service. Visitors will no longer be able to see the great aisled barn or use the countryside activity centre. The visitor toilets will close and the privately run cafe and shop are unlikely to survive. 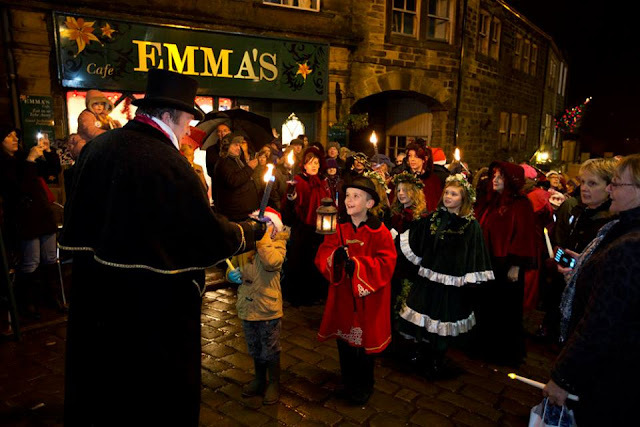 Wycoller hamlet is Lancashire's prettiest visitor destination with thousands of visitors served by dozens of volunteers - who want to do more to promote the place. It is managed by countryside ranger with a modest budget. Any cost savings from closing it down will be negligible and the volunteers scattered. Happy Christmas to all readers of this blog! And thanks to ace photographer Mark Davis for this one, taken last week at the Haworth Torchlight Parade!